Is your patient a good candidate? Once you have a clear aligner candidate in front of you, educating them is the key to obtaining positive results in clear aligner therapy. Setting realistic expectations at the outset of treatment can help make the patient's experience smoother. 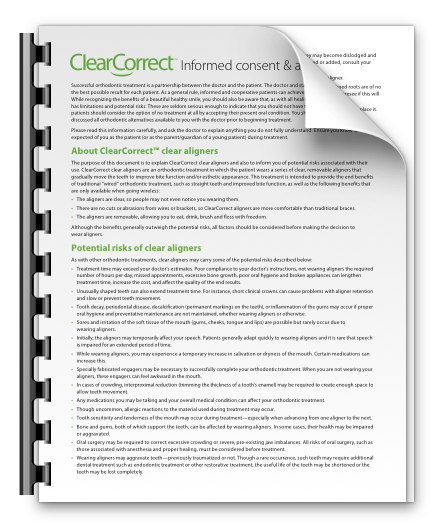 We have several resources for educating your patients on clear aligners. Patient reviews are also available here. Do's and donts on food, drink, storage, etc.